Avoiding taking NSAIDs (non-steroidal anti-inflammatory drugs) because of their potential side effects? Try these natural alternatives to help your system to combat inflammation. 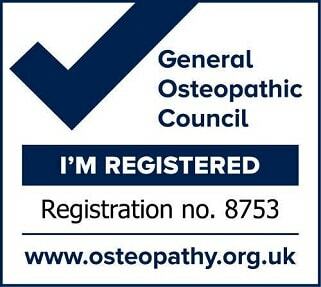 The founder of osteopathy, Andrew Taylor Still, described the body as having its “own medicine chest”. Each person has their own built-in healing mechanisms, which osteopaths believe can be stimulated and supported by removing restrictive barriers. Once the barriers are removed, the body is usually able to resolve all but the most serious conditions. The golden spice is a staple in Ayurvedic medicine. It is ground from the rhizomes of a plant related to ginger (the active ingredient is curcumin). In 2009, the Journal of Alternative and Complementary Medicine found that curcumin is about as effective as ibuprofen in reducing the pain of osteoarthritis of the knee. It is not a quick fix and can take up to two months to be effective. Many practitioners also suggest using topical creams containing curcumin. Click here for ways for 10 easy ways to add turmeric to your diet. AKA Indian frankincense, this tree produces resin which is used in incense and another key component of Ayurvedic medicine. It is used to treat arthritis, ulcerative colitis, coughs and asthma. Click here for a video explaining more about the uses of Boswelia. Another Ayurvedic staple, some studies suggest that taking ginger can reduce exercise-induced pain by up to 25%. In addition ginger is also thought to help with nausea and vomiting. Click here to read more about the health benefits of Ginger. An enzyme derived from pineapple, bromelain can be used to ease indigestion and inflammation. Recent studies have suggest that bromelain might be helpful to ease muscle soreness resulting from intensive exercise as well as arthritis. Click here for more information on uses of Bromelain. Arnica comes from the perennial Arnica montana, a yellow-orangish flower that grows in the mountains of Europe and Siberia. Arnica is commonly known for treating bruises, sprains and muscle aches but can also be helpful in wound healing and easing joint pain. One study suggests that Arnica is just as effective as Ibuprofen for reducing pain in people with arthritis in their hands, newer studies suggest it may also help burns and postoperative swelling. Click here for an article discussing whether Arnica is truly effective or not.